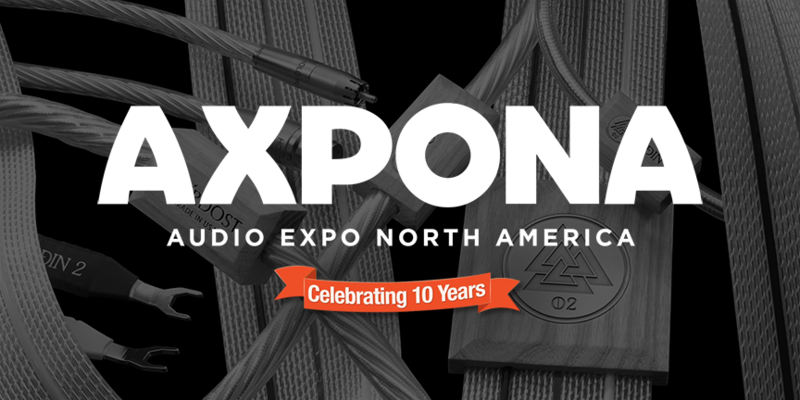 Come and see Nordost at Axpona, April 12-14th, at the Renaissance Schaumburg Hotel & Convention Center in Chicago. For the first time, Nordost and VTL have come together to assemble the ultimate sound system for Axpona attendees. Experience the synergy, dynamic power, and musical nuance that has awarded these cutting-edge companies “Best of Sound” in numerous audio shows. Join the founders of Nordost and VTL as they enjoy their reference-level products performing at their best, arranged and fine-tuned by world-class set-up artist, Stirling Trayle. Join us in room 734 and lose yourself in a transformative, high-performance audio system, the likes of which is rarely available to the public. In addition to showcasing our reference system, featuring a full loom of Odin 2 cables and outstanding gear from VTL, dCS, VPI, and Stenheim, Nordost will also be performing our renowned live demonstrations and product comparisons in room 730. While at the show, be sure to visit us in The Marketplace where we will be offering show specials on select products!